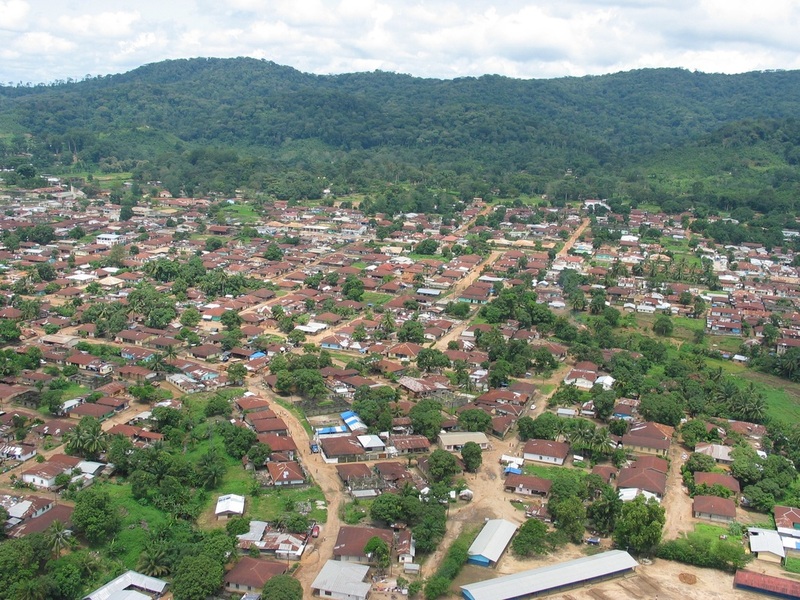 Sierra Leone has a population of about 6 million people in an area of 44,000 square miles, and about 1/6th of this is in the capital, Freetown, the commercial, educational, and cultural center of the country. The population is comprised of sixteen ethnic groups of which the most predominant are the Mende and the Temne which each makes up 30% of the population. There is intense rivalry between these groups, which has spread into politics. The other major groups, (about 7 percent) are the Kono who are mainly diamond miners. The dominant religion in Sierra Leone is Islam, which is followed by 60% of the population. 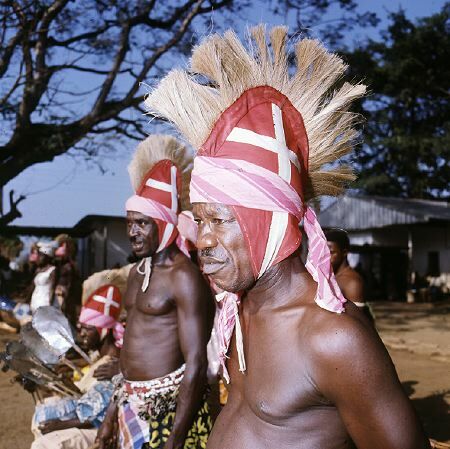 30% follow traditional tribal practices, while the remaining 10% is Christian. Sierra Leone is in West Africa, bordered by Guinea in the north, Liberia in the southeast, and the Atlantic Ocean in the southwest. It has the rather dubious reputation of being the lowest ranked country in the world on the Human Development index and an unflattering spot on the poverty index. The Fourah Bay College, the oldest university of West Africa, was established here in 1827. It has one of world's largest natural harbors. It was known as a center of the slave trade until 1792, prior to becoming a British colony. 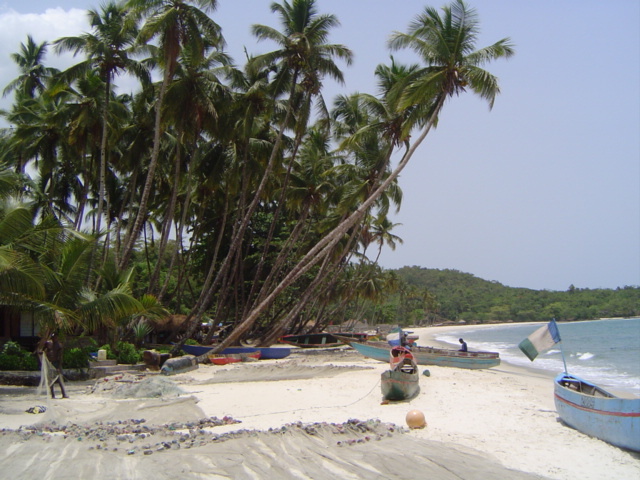 The capital is Freetown, also its largest city, so named from the fact that the territory was made a home for freed slaves from America in 1792. 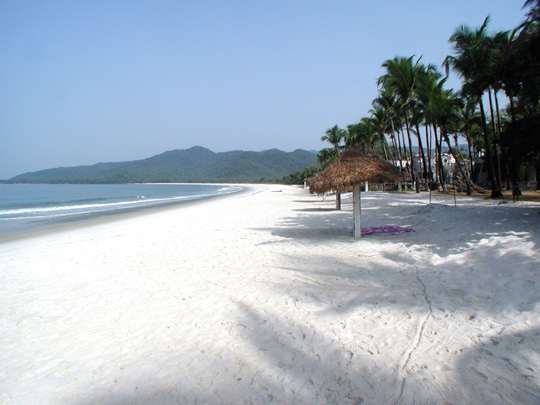 Sierra Leone has a total area of over 44 square miles and is located between the 7th and 10th parallels north of the equator. It has four different geographical zones consisting of mangrove swamps near the coast, hill country with lots of trees, a plateau and the mountains in the east. The highest mountain is 6397 feet meters above sea level. The climate is tropical with a hot humid rainy season from May to December, and a dry season with lower temperatures from December to April. The November to May period brings in sand-laden dry winds from the Saharan desert. Diamonds, gold, chromites, bauxite and iron ore are some of the minerals found in Sierra Leone. 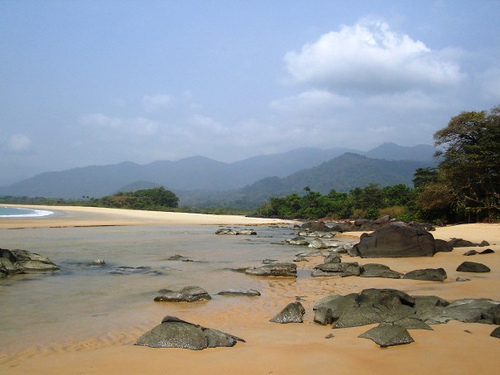 The most famous attractions in Sierra Leone are the beautiful beaches and the fine trekking available in the mountains. Water sports like canoeing and fishing are popular on the rivers, while the beach areas encourage wind surfing, speed boating, water skiing, and just plain sun bathing for those not wanting to expend their energy. Cruises are available to nearby islands. Freetown has some historical monuments, like the cotton tree first planted by American slaves, and the King's Gate with an inscription that ensured freedom to any slave that passed through it. The Naval wharf at the port still has steps carved out during the days when Sierra Leone was more famous for its slave trade. Fourah Bay College, the oldest university in the area, was where the Queen of England was sheltered during the World War. Quaint fishing villages are well worth a visit, and the market places are ideal for buying local handicrafts, which include hand woven baskets, sculptures, and woodcarvings. The Sierra Leone River has a natural harbor and this was where a lot of ships dealing in the slave trade anchored in the years up to 1772. After slavery was abolished, philanthropists in the west experimented with sending all freed slaves to Sierra Leone under an agreement with some of the local chieftains. After some initial hiccups the experiment succeeded with the future being ensured after the British took responsibility for the area. It functioned as a protectorate from 1890 to 1961, when it was granted independence. this experiment with democracy succeeded for a few years but then declined after a number of military coups which brought in repressive rule and a lot of violence. Guerilla forces opposing the military launched several attacks and the neighboring countries led by Nigeria intervened to form a new government, which was dismissed after another military coup. An international peace force of 17,000 troops intervened to ensure peace between the president and the rebels. Elections were held in 2002, which ensured the defeat of most of the candidates put up by the rebel forces. The nightlife in Freetown, the biggest city in the country, is rather limited, but a fair number of local bars where alcohol is served quite cheaply, abound. Visitors are advised to be on guard to safeguard their belongings. The bars and clubs start getting busy only after midnight and 5 a.m. is the time to go home. As in most nightclubs, music is the main attraction in Sierra Leone nightlife. You can find cabaret, jazz, disco, country or almost any type of music if you look around. There is a strong Muslim culture in the country and during the month of Ramadan eating and drinking in public is forbidden. 60% of the population is Muslim, 30% practice their traditional tribal beliefs, and a smaller proportion is Catholic. Churches, mosques, and society clearings are focal points for the practice of religion. The constitution of the country provides for freedom of religion and this is generally enforced. 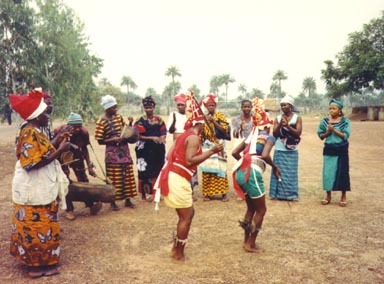 The official language is English, but a majority of the people speaks Krio, a mixture of English and other African languages. Groundnut stew is considered the national dish of Sierra Leone. This is a stew made with meat or other ingredients cooked in groundnut paste. A lot of seasoning is added and the stew is served with rice or other dishes. Another important ingredient is cassava leaves. The tender leaves are shredded and pounded before they are cooked. Palaver sauce, made from red palm oil, onions, pepper, and fish or meat is then added. Sometimes coconut oil is used instead of palm oil. Another favorite food is cassava bread and fried fish. Okra is often used to make soup to substitute for the stew that is the normal part of any meal. Ginger beer is generally homemade and is a non-alcoholic beverage made from pure ginger and sugar with dashes of cloves and limejuice. Each family has its own recipe and no factory processing is involved in the making of this popular drink.